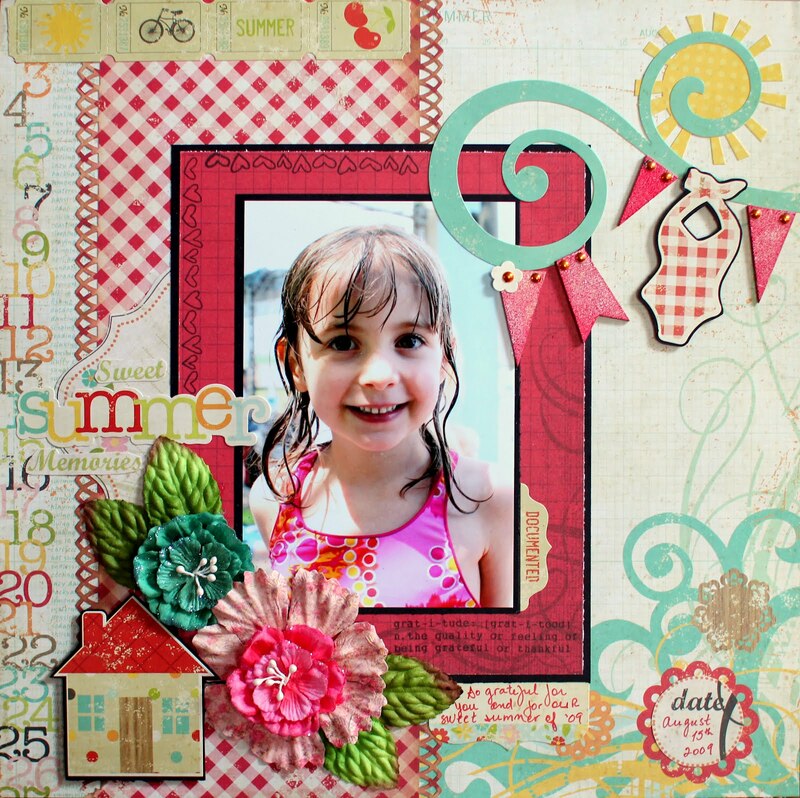 With winter in full swing, I have sunshine on my mind, so I thought I'd do a summery layout. I used the Gratitude stamp set - it makes wonderful heart borders and I love the definition, which I used here as well. I also used the Suzy West Collection "Cotton Candy" embossing powder on the wooden banner - it came out bright and pretty, but still vintage and distressed.